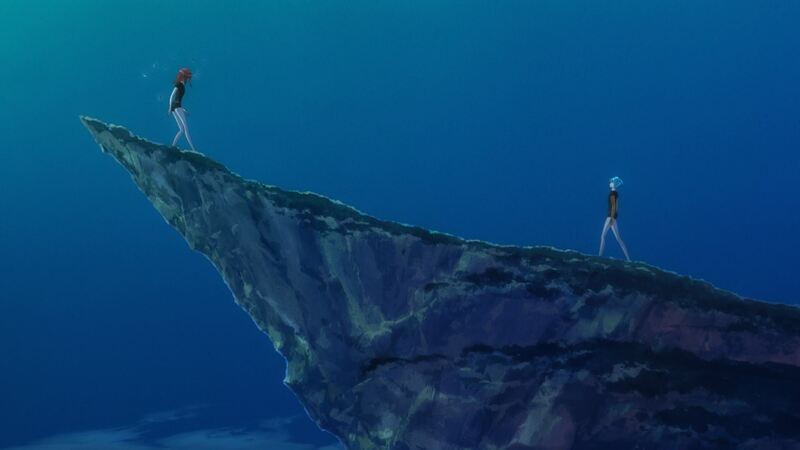 ─ Land of the Lustrous’ finale was as graceful as it could possibly be while dealing with the obvious restrictions of adapting an ongoing manga. 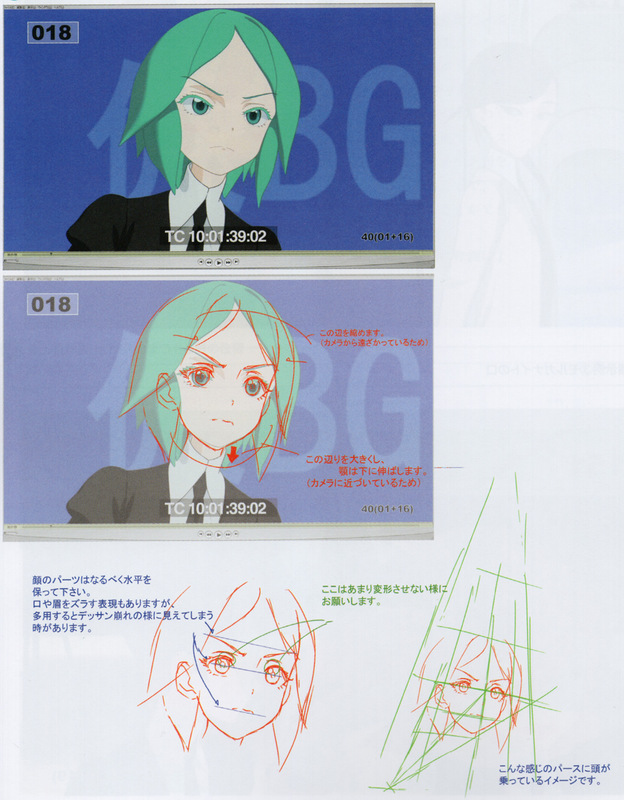 The original author Haruko Ichikawa explicitly asked series director Kyougoku to hold back narrative reveals that come into play later in the series, but since he had always envisioned this point in particular as the ending, I don’t believe that was much of an issue; the show’s goal was to showcase Phos’ changes – which aren’t necessarily growth, considering how much they’ve lost – hence why we return to the starting point, to highlight the contrast between their carefree beginnings and the current self. Many familiar layouts and sequences that call back to simpler times, making this episode painful in a delightfully twisted way. 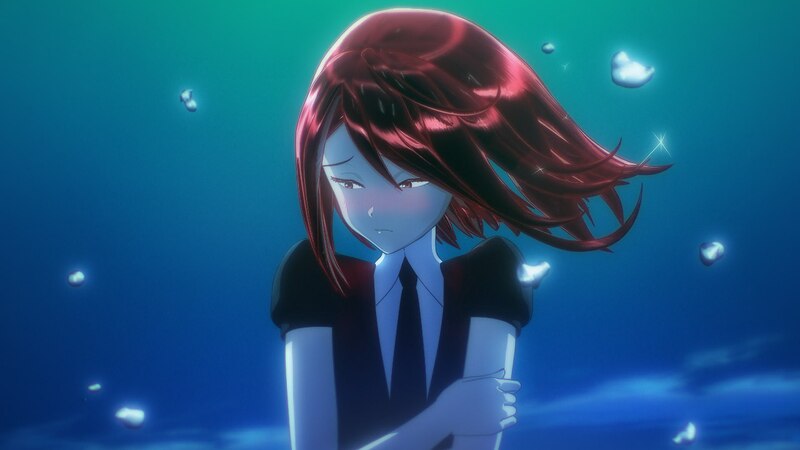 There’s a tinge of sweetness in it as well, most noticeable in the final meeting between Cinnabar and Phos, which was rearranged so that the show could end on a slightly more hopeful note. Not only have the power dynamics reversed, we’re edging closer to the point where they can be more sincere to their feelings – although we’re still not there, of course. It’s true that this last episode doesn’t follow the general crescendo, but it’s hard to blame the previous arcs for being too emotionally powerful. This was as good of an ending as we were going to get. ─ It feels refreshing to see Kyougoku directly handling an episode with major humorous elements, since his sense for goofy comedy is as sharp as ever. His gags don’t have the masterful musicality of Kenji Mutou’s best sequences, but there’s a much simpler sense of fun to his chase scenes. Most of them were either an amusing isolated panel or not even part of the manga, but Kyougoku enjoys them so much that he decided to fill the finale with playful, well-timed moments like this. Up until the end, the show’s ability to combine ridiculous comedy with soul-crushing developments is uncanny. Bless this weird series. Meet Land of the Lustrous‘ core staff, including its directors, main CG crew, sub-designer, and production assistant. 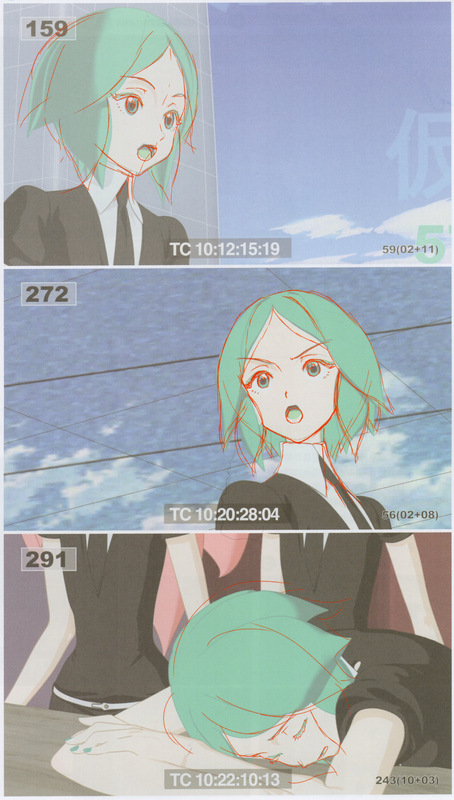 ─ I had assumed that Yoko Kuno’s debut as episode director in the penultimate episode would be Land of the Lustrous’ last gift to up-and-coming talent, but they still had time to sneak in a final sweet surprise. Even though Kyogoku was understandably in charge of the finale, he allowed Ryosuke Ogata to act as his assistant for the very first time. Ogata joined the industry a couple of years ago through Artland, where he helped out on Mushishi and outsourced episodes of the already forgotten webgen spectacle Hundred. He left them soon before the studio essentially imploded, with enough luck that he also happened to land on a project as outstanding as this. As production assistant he handled an astounding 4 episodes in the first half of the show, and then seemed to disappear… as he went on to train as director, turns out. Not as flashy of a debut as Kuno’s irruption of course, but I’m glad that the project has given opportunities to multiple youngsters. ─ And while I’m singling out creators who contributed to the last episode, there’s no avoiding main art director and designer Hisako Akagi, who painted every single new background in the finale. Everyone, myself included, has been praising the work of concept artist Yohichi Nishikawa. After all, it’s his art that has served as the basis for every single iconic sequence in the series, from the composition of those scenes to the color work; his non-standard role extends to the domains that would usually belong to storyboarders and colorists, but especially those of the art director. As a result of that, the world of Land of the Lustrous isn’t quite as much Akagi’s vision as it would normally be. But intent on leaving her imprint either way, she’s been doing an excellent job at commanding the background art, ending on a beautiful note all of her own making. ─ A show as rich as Land of the Lustrous was bound to give me plenty of things to talk about, but much like Made in Abyss earlier this year, the cohesive vision throughout makes the final notes fairly trivial. As much as it’s managed to constantly surprise, both in tone and through constant inventive delivery, the team’s ideas were so clear that at this point I feel like I’ve already said everything I had to. A brilliant – literally, you know – comic was given to a team that understood its appeal and yet wasn’t afraid to transform it into something that takes into account not just animation but the televised format. The staff led by Takahiko Kyougoku knew how to best portray its aesthetic and themes, and luckily, they were granted exceptional resources. The acting drawbacks seem minor when you consider how many spectacular moments have been enabled by their mainly 3D approach, and the awareness of their shortcomings have allowed the staff to put extra effort into the personal expression that CG anime tend fail so badly at. 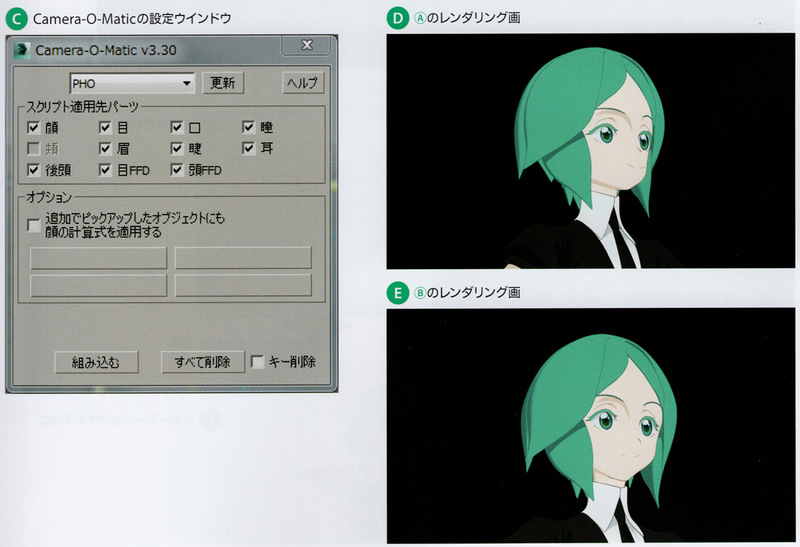 While all the most important animation in the show was supported by 2D artists through their notes, corrections, and outright hand drawn sakuga, there’s a mocap basis for some normal character scenes too. ─ On that note, I’d like to end my commentary on the production by highlighting the words of character designer Asako Nishida. She called Land of the Lustrous an epoch-making title, a landmark important enough that people will refer to similar titles as pre/post-Houseki. While thanking studio Orange for showing the world new possibilities, she again pointed at the work of the 2D artists that have supported this project, as well as Kyougoku’s vision. This might sound grand coming from someone in the staff, but they’ve damn well earned the right to proclaim that, and in the end it’s pretty much the point I’ve been hammering all along. It would be foolish to expect all CG anime to suddenly be on this level, since as I’ve brought up before this is very far from a standard TV production, but they’ve at the very least uncovered interesting new paths for other artists. The industry is in an ever so slightly better place after this show, and that’s always worth celebrating. I mean to reveal a final serious production detail here but instead I’ll tell you that studio Orange’s proprietary software so that 3D models maintain same flat superficial appearance no matter the angle is called Camera-O-Matic. ─ Are we done then? Not necessarily. The show is fairly popular and performs well in various commercial fronts, so I wouldn’t be surprised if a sequel announcement didn’t take long as we seemingly head into the manga’s final arc. Toho is treating this project very seriously, which is no small feat as they’re one of the most robust producers in the modern industry. Chances are that we won’t just get a second season, but rather whatever it takes so that it’s eventually fully animated. I got this exact same vibe with the aforementioned Made in Abyss, and as you might already know, that already got its sequel announced! 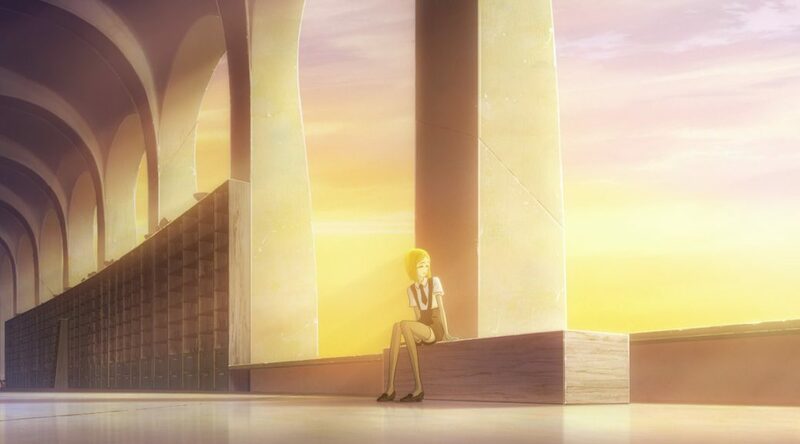 I’ll be honest and admit that I feel like later material in Land of the Lustrous pales in comparison to the material that the anime has already covered; its answers just aren’t as appealing as the unique vagueness, and the usage of repetition feels less poetic after the umpteenth time Phos mentally and physically breaks. That said, the anime has been more compelling as a narrative to begin with, so with their approach and a bit of trimming we could have a sequel that is just as much of a masterpiece as this. And if we do, I’ll be back here to cover it! Thank you for you work! It was very interesting coverage. I appreciate your attention to details and more importantly to various people behind this beautiful work. I rarely see that kind of approach. Can’t wait for your next article. I’m glad you enjoyed it! Violet Evergarden is the next show bound to get this treatment – I don’t expect it to turn out to be half as brilliant as this, but that’s going to be an incredible production on its own right too. Depending on how things turn out, I might regularly cover Darling in the Frankxx too, depending on what the other writers want to do. Oh, that’s a great news! I’m really looking into those two in particular. I hope Darling in the Frankxx will be covered, considering cooperation between Trigger and A-1 Pictures. It would be interesting to see how they work together. Can we please move on from this these land of lustrous articles they are getting boring.